Ocala, Florida — On September 21, 2015, Marion County Fire Rescue Station 33 responded to a vehicle fire on Baseline Road and Southeast Maricamp Road. 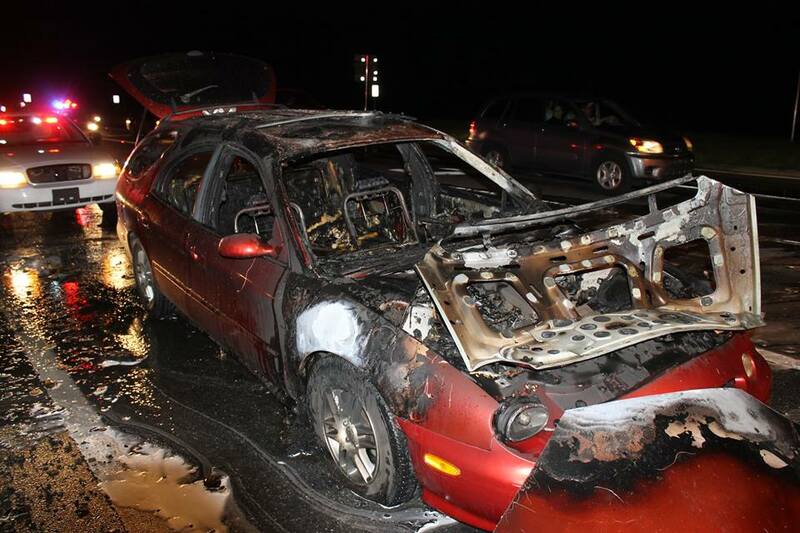 According to MCFR, when units arrived, crew members found that a vehicle was fully engulfed in flames. MCFR said that crews were able to extinguish the fire quickly. Additionally, crew members were able to salvage some of the family’s belongings. FHP arrived a short time later. One lane was closed until the vehicle could be moved. MCFR units on Scene were E33, R33, and A103. The driver and passenger were able to escape the vehicle without injury.